The Wi-Fi Alliance has finally decided to introduce a proper nomenclature for its different versions. 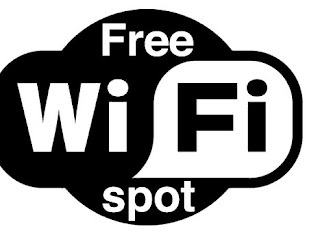 The organisation has named the next-generation of Wi-Fi technology as Wi-Fi 6. Those devices that will support Wi-Fi 6 will be called "Wi-Fi CERTIFIED 6" starting 2019. For those unaware, Wi-Fi Alliance is the worldwide network of companies that offers Wi-Fi. The Wi-Fi certification ensures that devices are tested for interoperability, backward compatibility, and Internet security. The Wi-Fi 6 technology is meant for devices that support 802.11ax technology. With the new naming approach, the Wi-Fi Alliance aims to make it easy for users to understand the differences in the Wi-Fi technologies and also know which device supports which version of Wi-Fi. Wi-Fi 6 is meant to identify devices that support 802.11ax technology while Wi-Fi 5 will identify devices that support 802.11ac technology. On the other hand, Wi-Fi 4 to identify devices that support 802.11n technology. Wi-Fi 6 is expected to an improved experience to address device and application needs in a range of consumer and enterprise environments. “For nearly two decades, Wi-Fi users have had to sort through technical naming conventions to determine if their devices support the latest Wi-Fi. The Wi-Fi Alliance is excited to introduce Wi-Fi 6, and present a new naming scheme to help industry and Wi-Fi users easily understand the Wi-Fi generation supported by their device or connection," said Edgar Figueroa, president and CEO of Wi-Fi Alliance. In addition to describing the capabilities of the device, device manufacturers or OS vendors can incorporate the generational terminology in User Interface (UI) visuals to indicate the current type of Wi-Fi connection. The UI visual will adjust as a device moves between Wi-Fi networks so users have real-time awareness of their device connection.